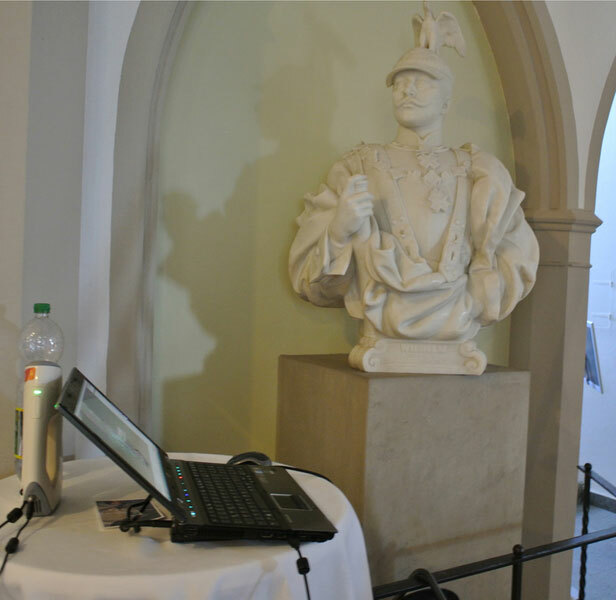 Project Content: 3D Survey, Modelling and 3D PrintingProject Progress: The project task was to document the bust of Emperor Wilhelm II in 3D and generate a 1:1 replica. The bust, made by Walter Schott, was surveyed on site within a few hours. 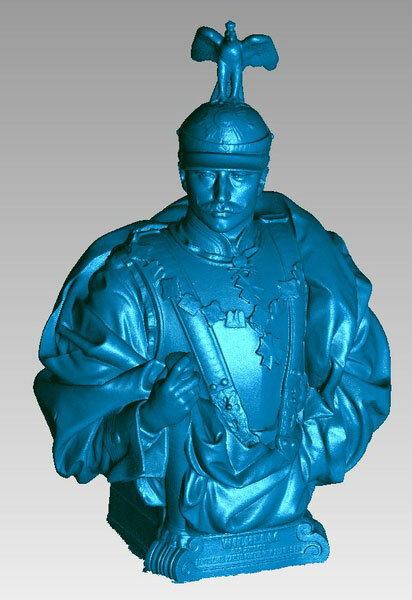 The result of this 3D survey and 3D analysis is a 3D model of the bust, which was the basis for the 1:1 replica. 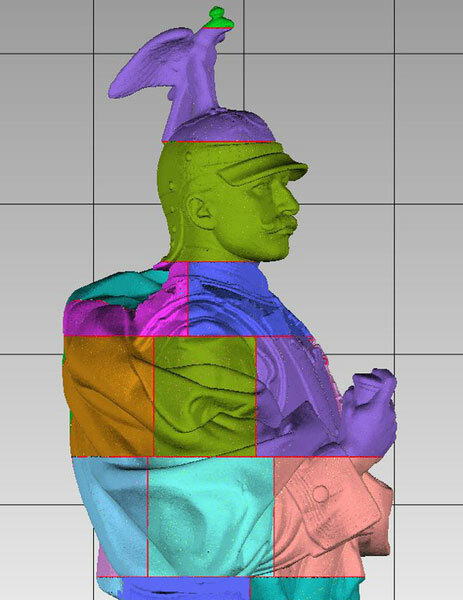 The reproduction was done using a 3D printing layer system produced in several individual parts and assembled like a 3D puzzle.To digitise the bust we used the Artec TM Eva 3D Scanner (RSI GmbH). The surface was illuminated using structured light which was recorded with high-speed cameras. Using the known recording configuration of the surveying system and the measurement pictures, real-time 3D-coordinates of the surface were deducted.Within the post processing the different scans were aligned within a common reference system, redundant overlapping removed and all merged into a 3D-model – consisting of 12. million polygons (triangles). 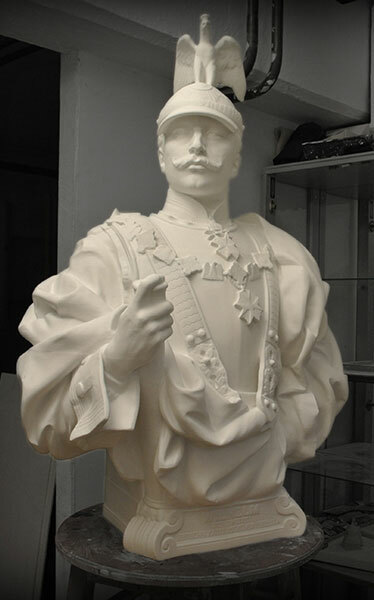 After the 3D modeling, the 3D model of the bust was reproduced in real size. Because of the given wall thickness of 2mm the model needed to be hollow and consequently printed as a 3D puzzle.After the assemblage of all pieces the model received several surface treatments to obtain the desired plaster like appearance. To achieve this, the whole replica was undercoated four times in white and afterwards brushed with a special glue-plaster-mixture in the composite colours Champagne and Bonbons.